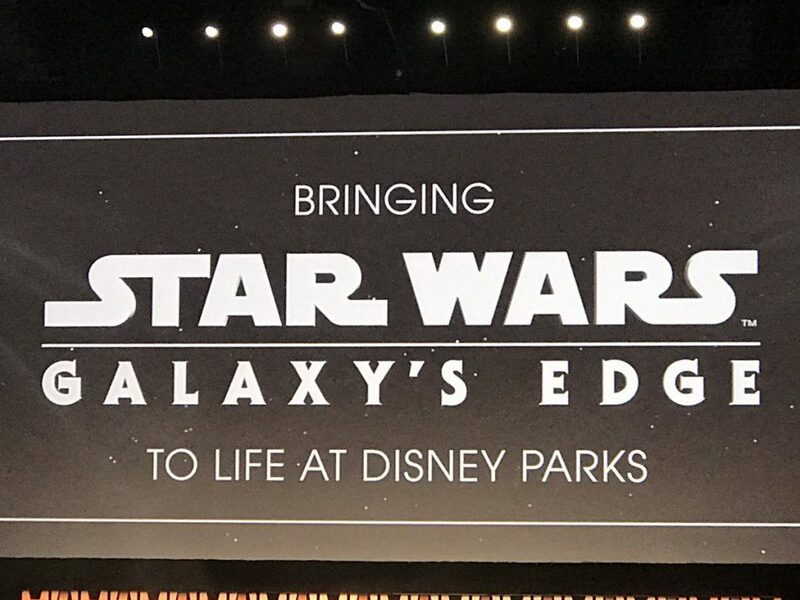 Star Wars Galaxy’s Edge comes to Disneyland on May 31st and Disney World on August 29th. 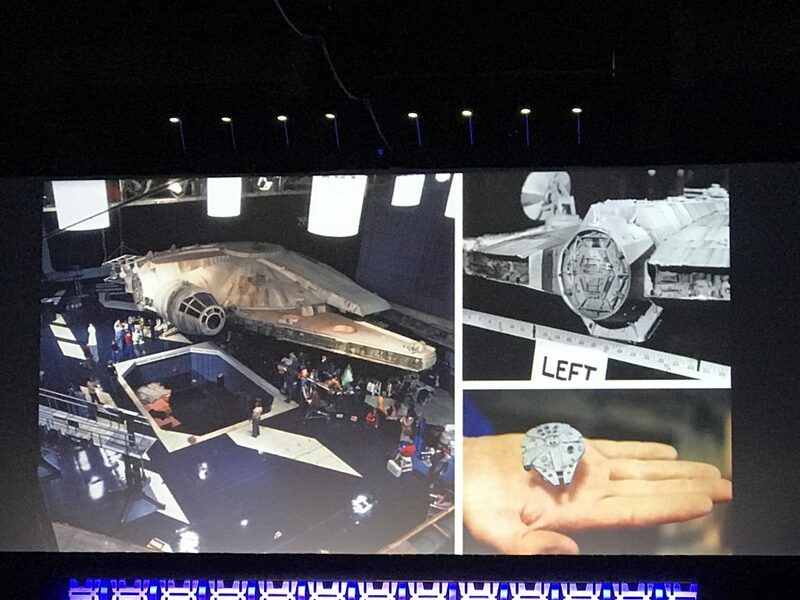 Check out all the details revealed at the Star Wars Celebration 2019 panel. 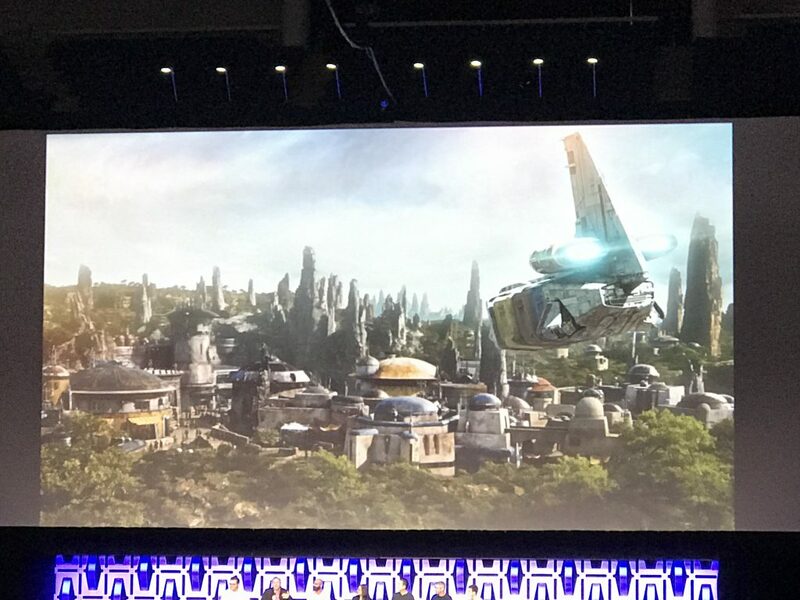 Today I attended the Star Wars Galaxy’s Edge panel at Star Wars Celebration in Chicago and I have ALL the new and exciting details for you. 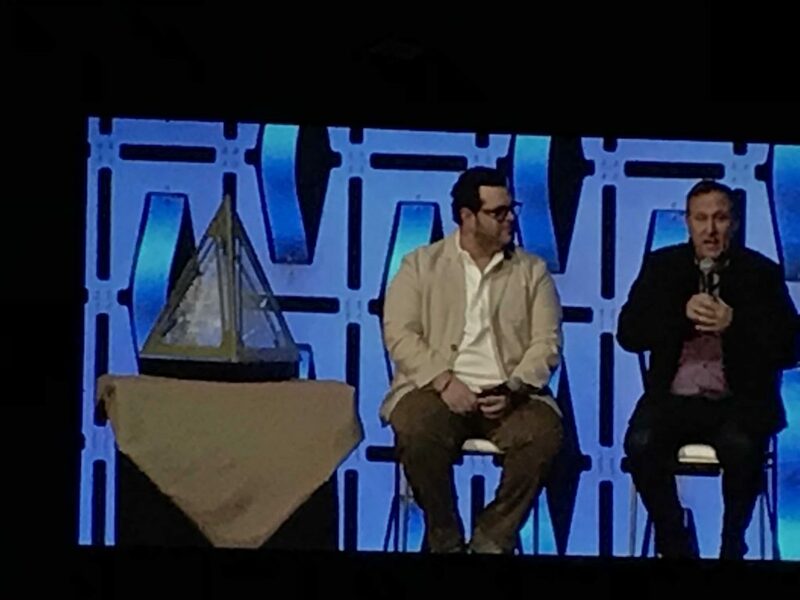 Hosted by Olaf himself, Josh Gad, who apparently is a huge Star Wars fan also, he really drilled the panel for Galaxy’s Edge sneak peeks and tid bits. Panel attendees included: Chris Beatty, Doug Chiang (Vice President of Lucas Films), Asa Kalama, Margaret Kerrison (Story Editor), Matt Martin (Lucas Film Story Group), Scott Towbridge. 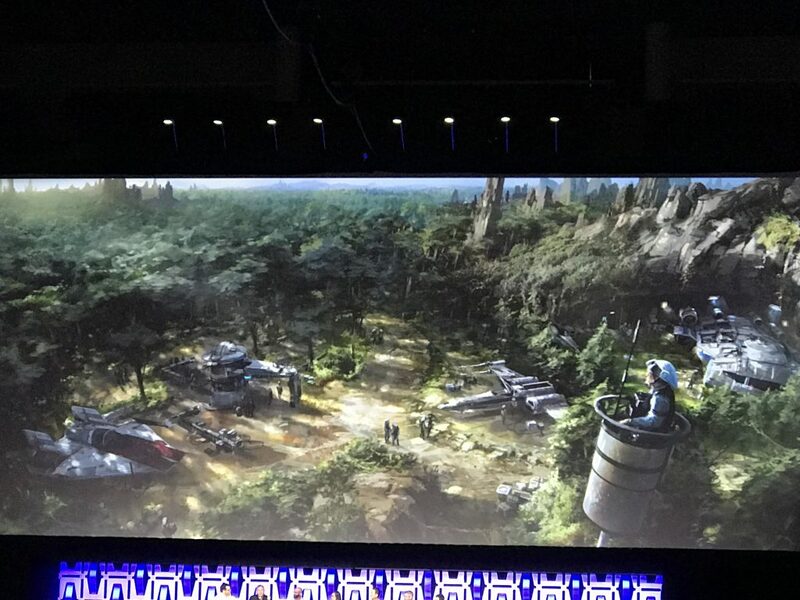 Collectively they gave us ALL the details, well maybe not all but most, of what is to come at the new Disney attraction Star Wars Galaxy’s Edge. Check it out! 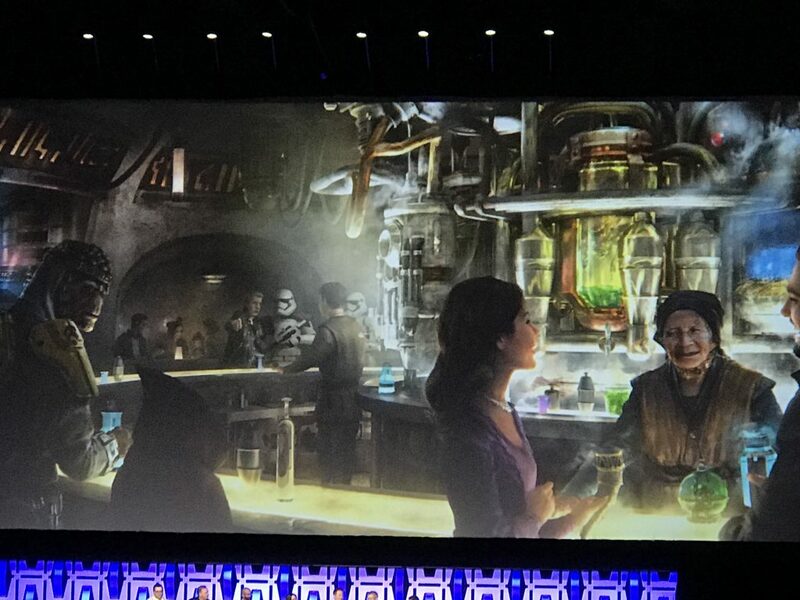 The inhabitants of Star Wars Galaxy’s Edge are made up of those who are not particularly “mainstream”. 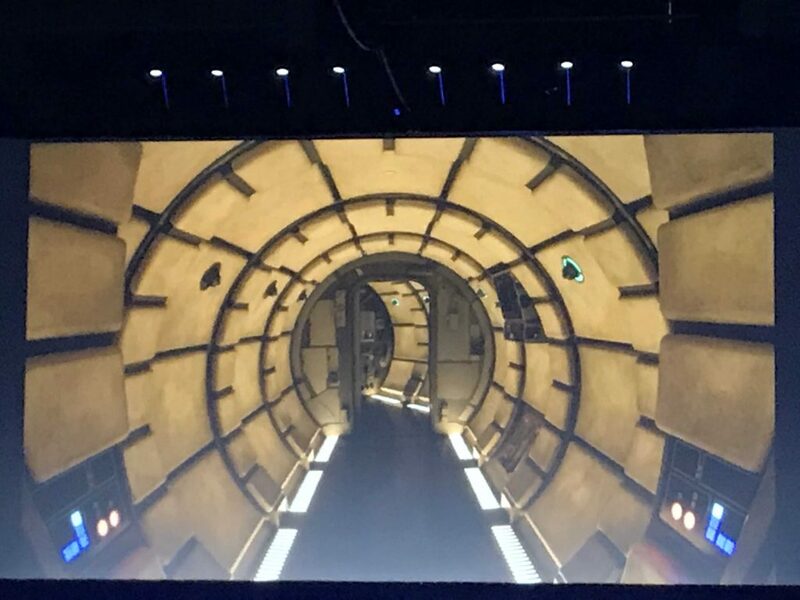 Pretty much it is the Smugglers and those trying to be stealth and hide out in space. Basically, it is the most fun characters out there in the Star Wars Universe. 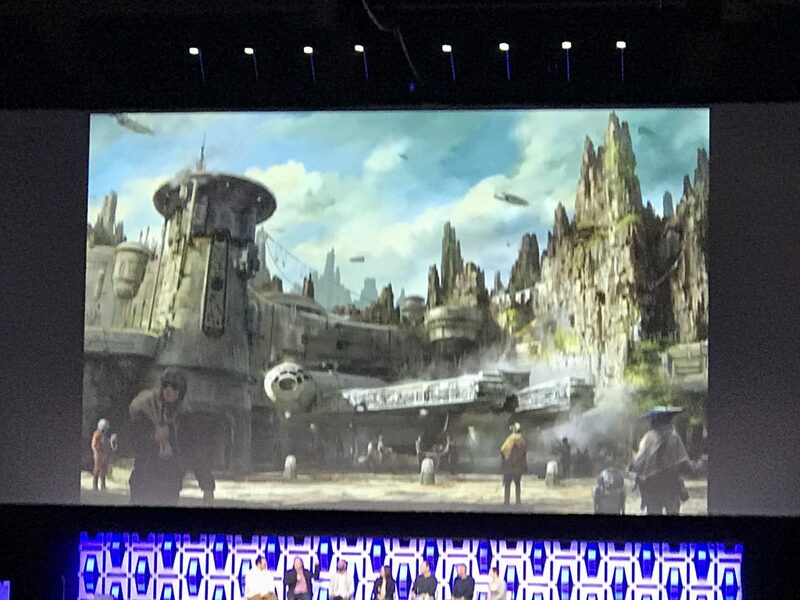 Star Wars Galaxy’s Edge will be the most immersive experience ever done paying attention to authenticity and the fine details. From the food to the merchandise, you will feel like it was made by the people of the planet for the people of the planet. 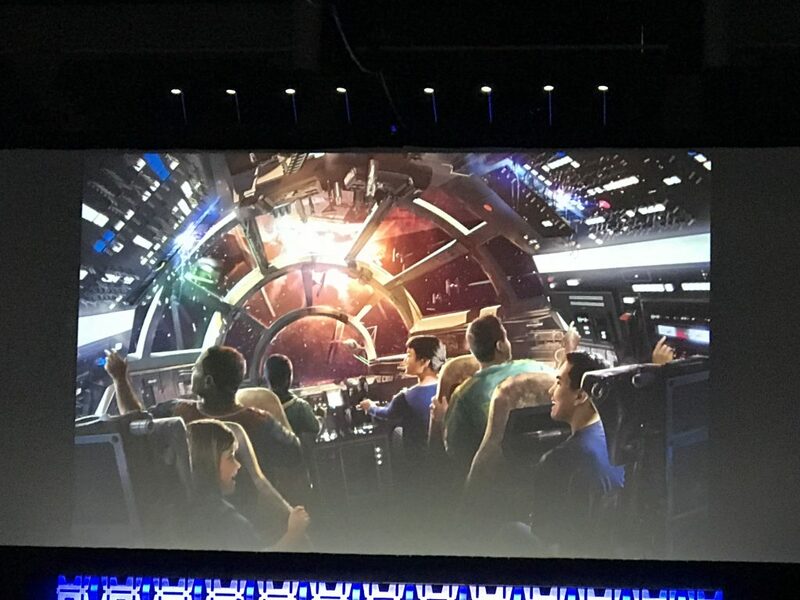 Galaxy’s Edge will contain two attractions: the Millennium Falcon where you become the flight crew of the “Fastest Hunk of Junk” and will be available on opening day and Star Wars Rise of the Resistance which will come at a later time. Outside of the village in the forest remains where the ancient ruins are found is where you will also find the Resistance. 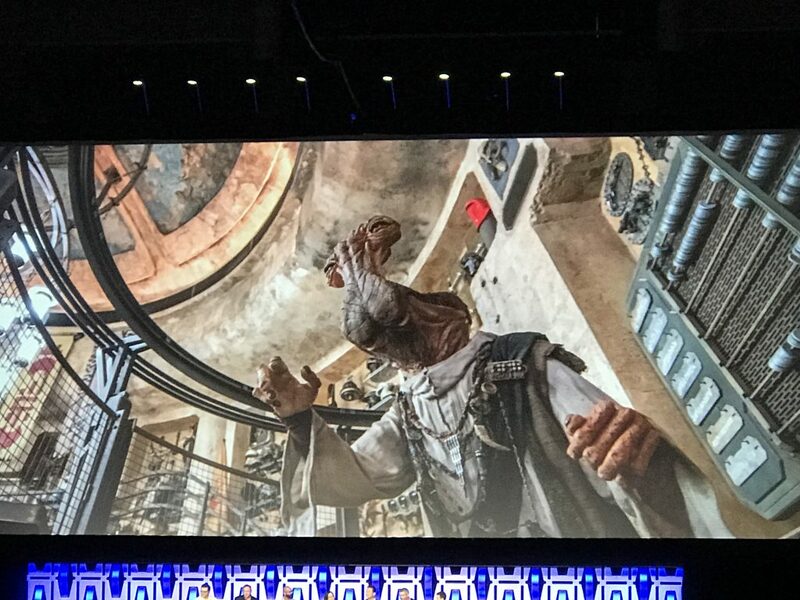 In the attraction you may find yourself prisoners of the first order and you have to escape… Star Wars Galaxy’s Edge is going BIG with this attraction. 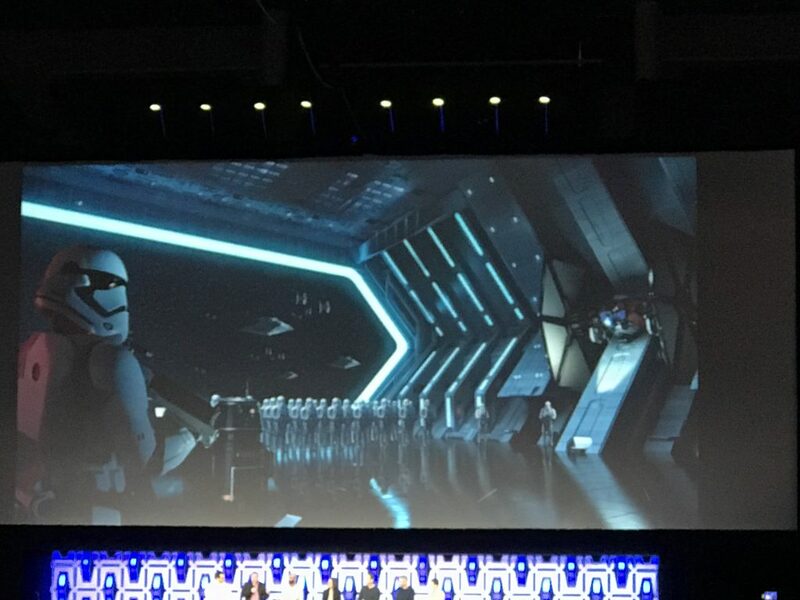 Riders will face first order and MAY come face to face with Kylo Ren, Rey, Po and even BB-8. Oh yes, all the fan favorite characters will be there and if you survive you will be celebrated! Doc might have you work to purchase something from his shop but it will be worth it. There are SO many Easter Eggs in the shop itself, if you like Clone Wars, Phantom Menace etc, you will find it here. You can barter or find Savi who can build a customized lightsaber just you. Whether is be light side or dark side, your Lightsaber will be a one of a kind. You know I am all about the snacks, so when I heard about the space meat AKA roasted Bronto that will be served, I made sure to take note! 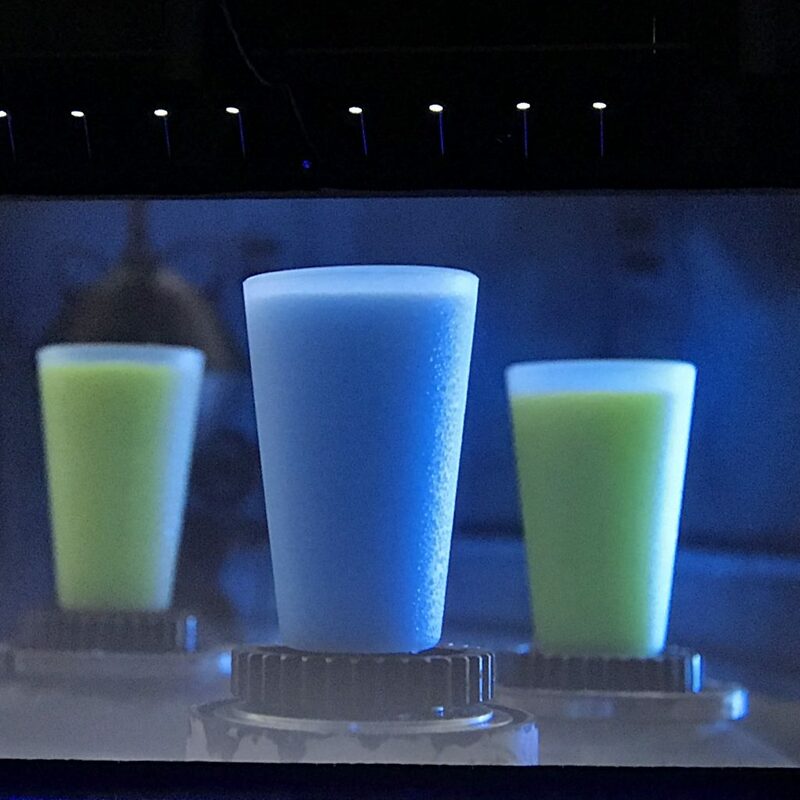 And wash down your space meat with a big glass of blue or green milk! 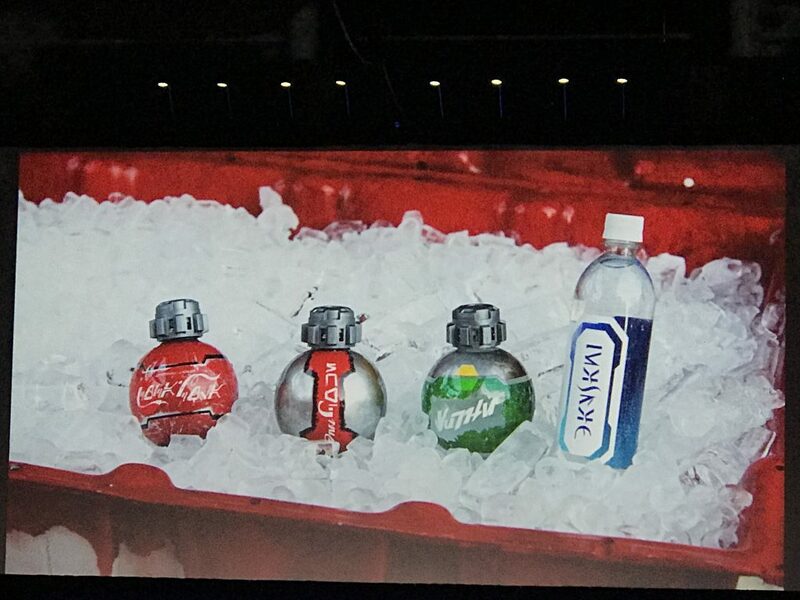 From the fancy “Star Wars like” bottles to thhe 100 different languages on the containers, pick up a refreshing drink at Galaxy’s Edge that will have everyone asking where you got it from! The Cantina contains one of the hottest DJ’s on this side of the Universe: DJ Rex from Star Tours. How did Rex end up here? Well long story short, Rex flunked out of Star Tours, had a crash landing and was repaired into a DJ. 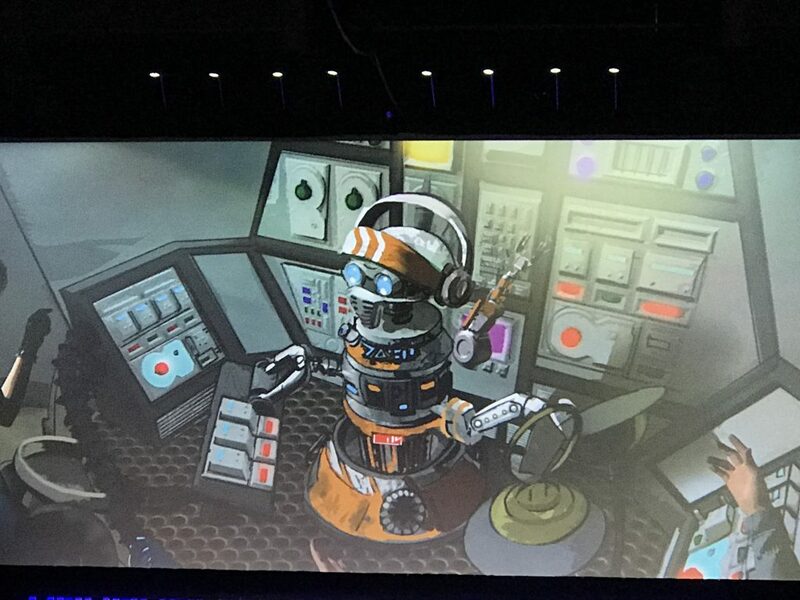 I can not wait to see him spinning those records at Galaxy’s Edge! 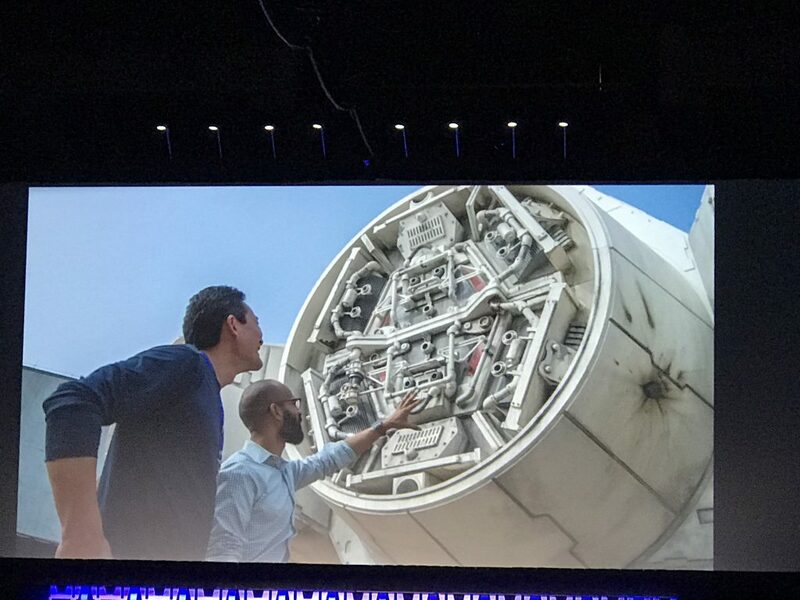 The Millennium Falcon is the real deal and so powerful up close and personal. Guests can step aboard the Falcon and have the opportunity to control it. Load up the cockpit and take control of the Fastest Hunk of Junk” in the Universe. Steer the ship on your own but watch out because you can definitely smash into thing and when you do alarms will go off and sparks will fly! But don’t worry if you do crash, this is what you count on the Engineers on your ship for so they can fix it. Gunners also have to defend ship. Everyone has their own role and up to you and the flight crew to determine the fate of the ship. When you make your way out, how you fperformed will determine the look of the exit tunnel. If you crashed then it will be messed up and Hondo will not be happy if you bring it back the ship all messed up. FYI, Hondo is voice by Jim Cummings. 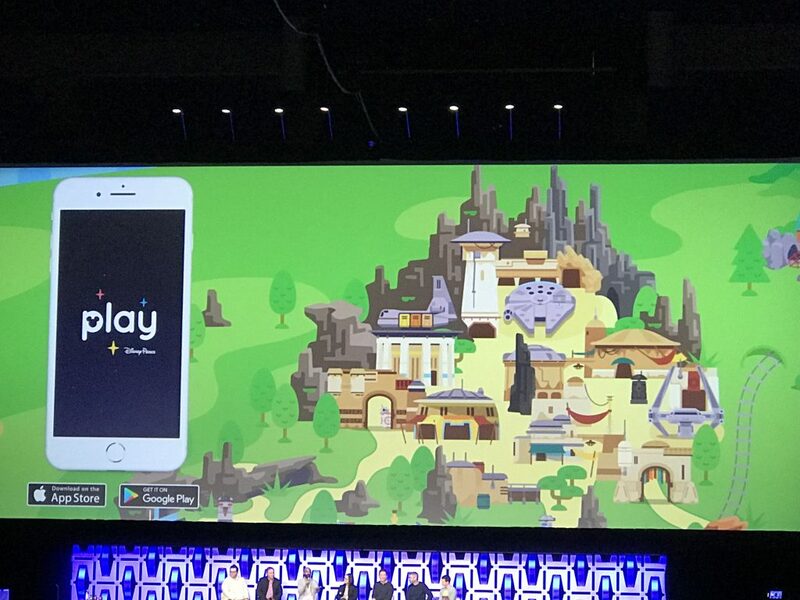 Transform your mobile device into an in Park story tool. 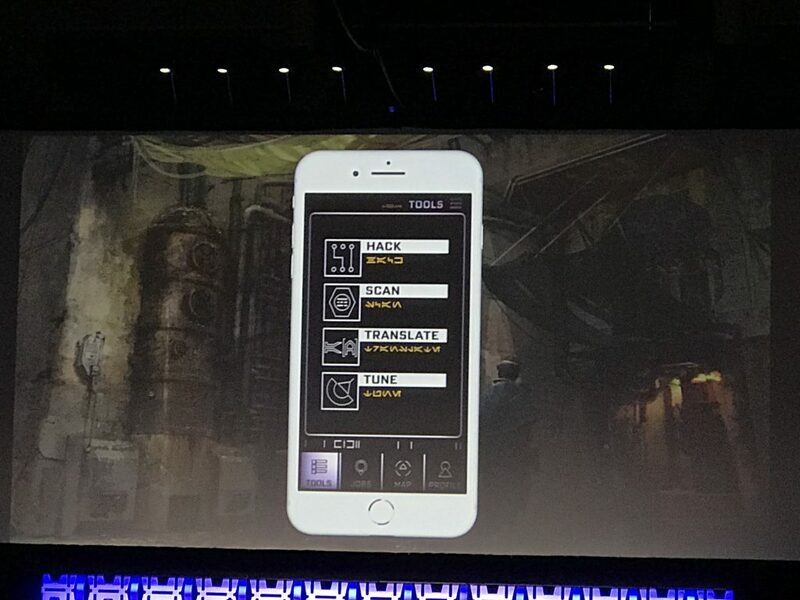 Hack Tool gives you the ability to interact with Droids and blinky light panels and ships within the park. Scan allows you to scan cargo crates and take a peek inside. 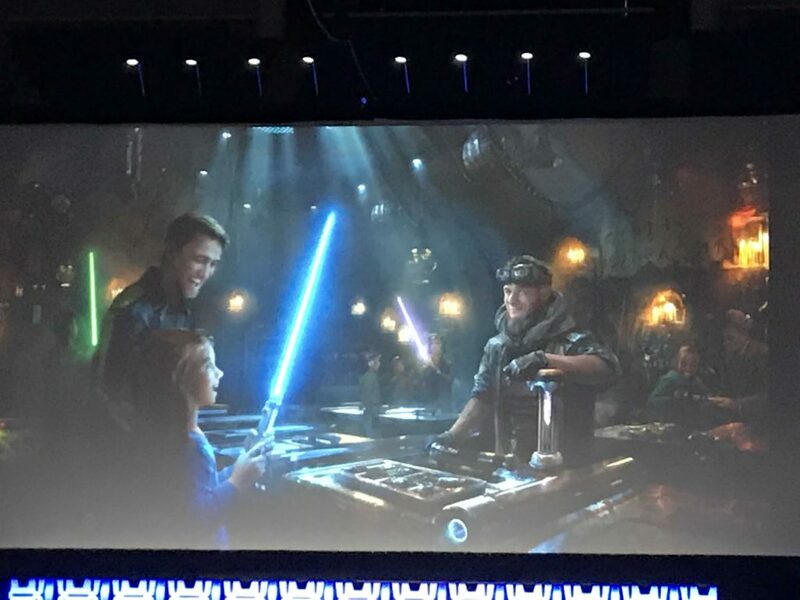 Translation Device will translate the main languages within the Galaxy’s Edge Universe and the Tuning Tool gives one the ability to ease drop on conversations. Guests can play together and show alligence to either side whether it be light or dark. Visitors can decide which side to help and who will rise depending on which side you help. Become part of the world. 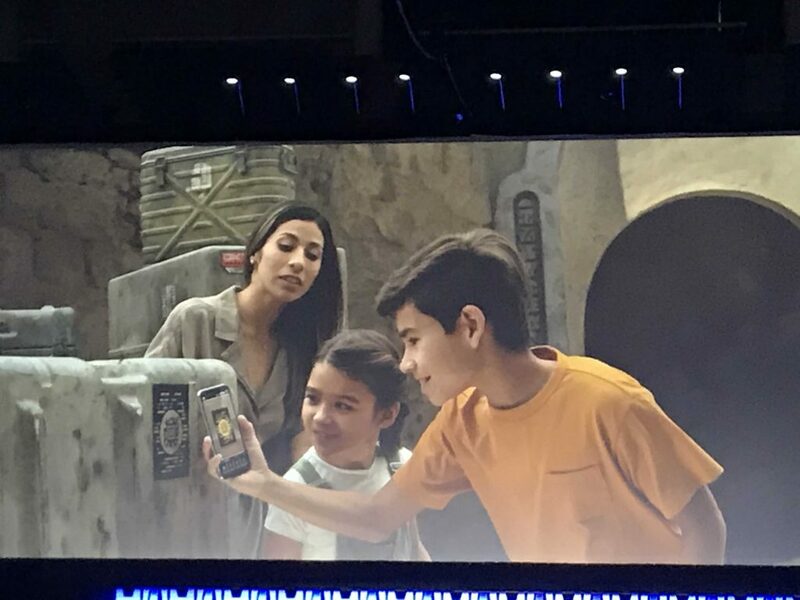 While at Star Wars Celebration, you could visit the Galaxy’s Edge booth and record a 30 second clip telling your story of what Star Wars means to you. ALL of these clips will be collected and placed within the “Holocran”, pictures above. 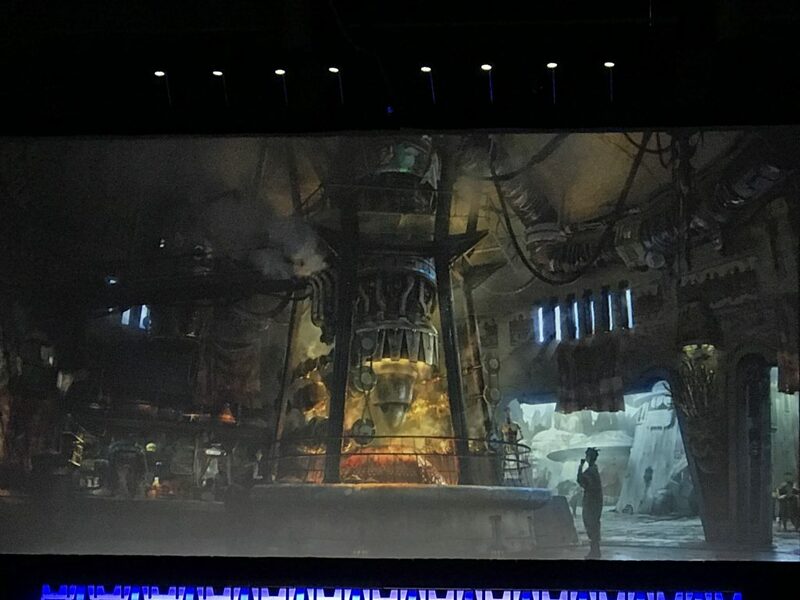 The Holocran and all the stories within it will be a fixture kept inside galaxy’s Edge for years to come. So if you are at Stars Wars Celebration in Chicago make sure to stop at the booth and become a part of History! Avengers 4 Endgame Trailer: Tony Stark Is Alive! Captain Marvel Movie Review: What Feminism?